2 X NATIONAL SUPREME CHAMPION ! Ginger delivered a beautiful litter of four healthy puppies, December 23rd. Three girls and one boy. 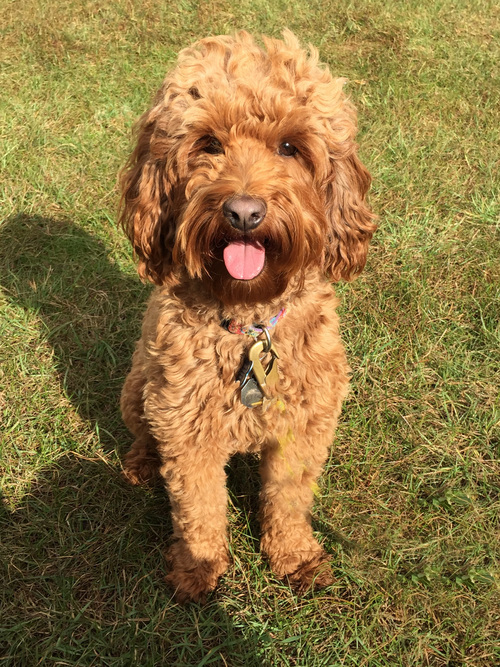 Both parents are registered multi-generational Australian Labradoodles. The puppies range from apricot to red in color and estimated maturity is in the large miniature to medium size. for complete information and application form. 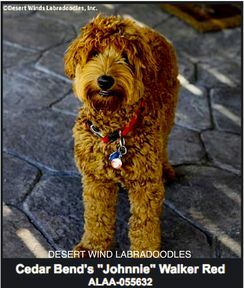 Australian Labradoodles came into my life ten years ago as I was searching for a dog as a new addition to the family and companion for my aging golden retriever. Our previous dogs had all been rescues and they were great dogs, but I was interested in researching breeds to find the best fit. My decision to choose labradoodles was made after a thorough review of a number of other breeds. As I did my research, more often than not, I was confronted with an array of diseases and faults the particular breed was prone to. I was very impressed with the consistent genetic health testing being done by Australian Labradoodle breeders allowing them to offer puppies with documented, positive health testing several generations back. Add to this the wonderful, family friendly dispositions and low to non-shed and I knew labradoodles would be my choice. 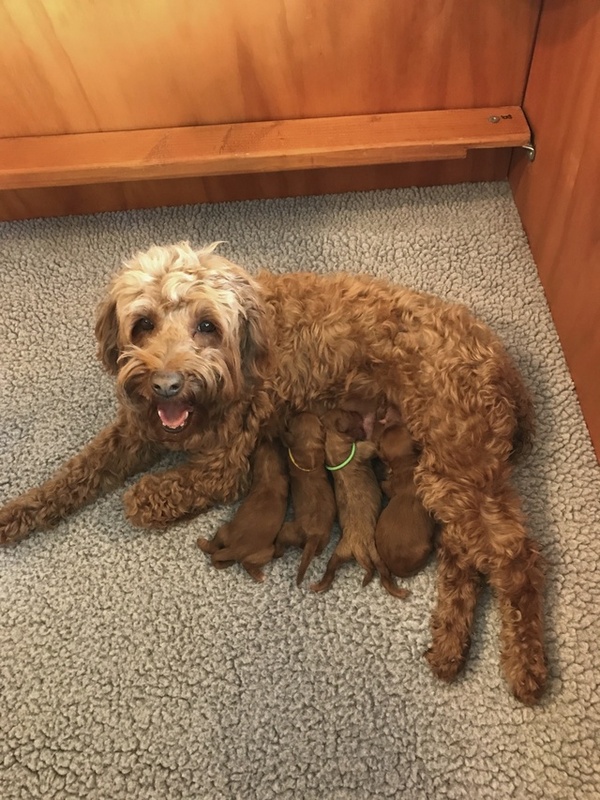 The extensive breeding of Australian Labradoodles to Australian Labradoodles offers the purchaser the opportunity to know what they are getting with puppies carrying the true characteristics of their parents. Healthy multi-gen labradoodles with beautiful, non-shedding coats. The genetic history of well bred Australian Labradoodles along with contracted health guarantees by the breeder ensure a true to the breed, beautiful and healthy new family member. 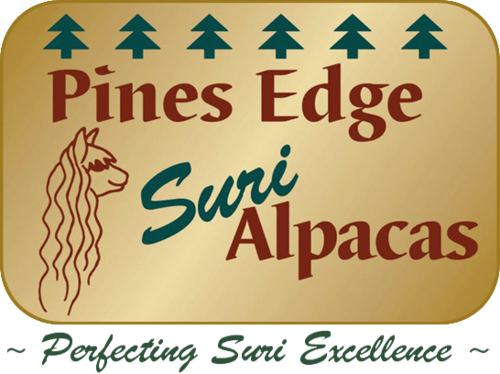 For the past twenty years I’ve also been very active raising show quality Suri alpacas which you can view at www.pinesedgesurialpacas.com.